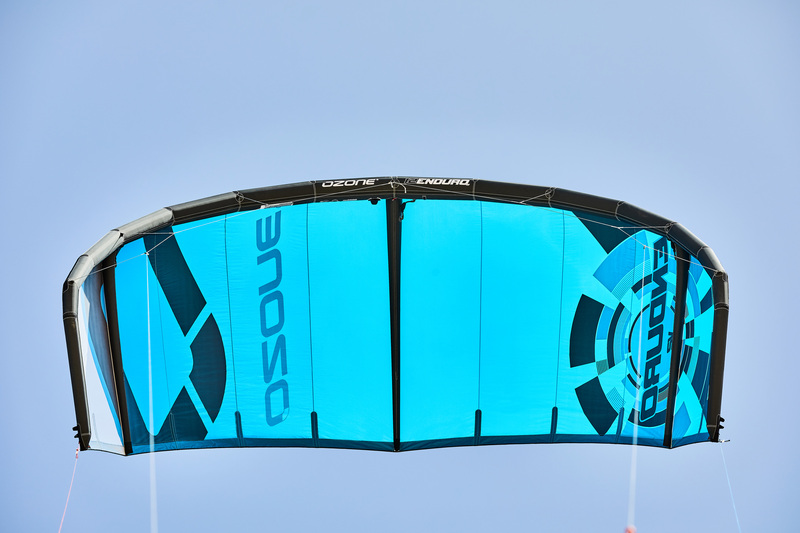 Versatile Open-C design for riding any style in any condition. 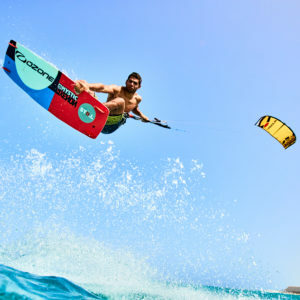 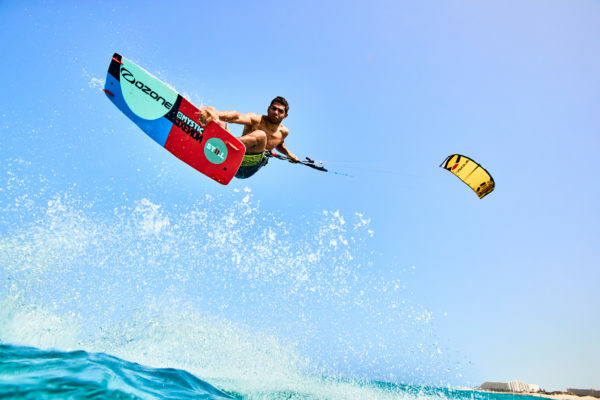 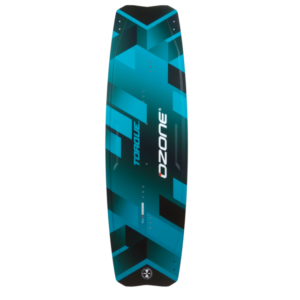 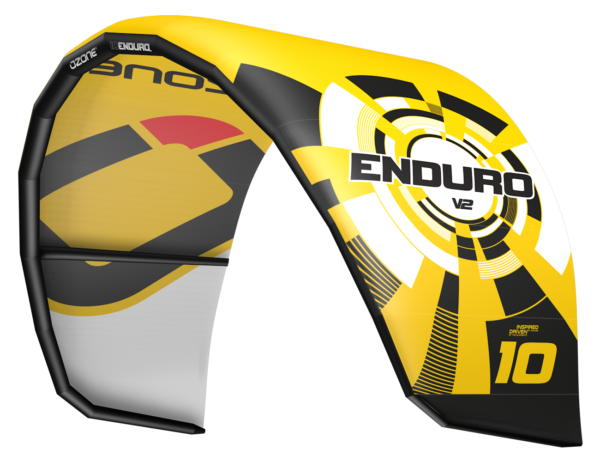 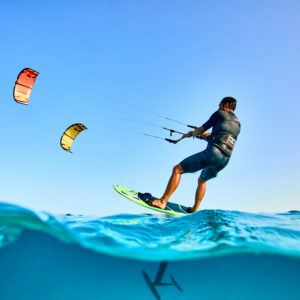 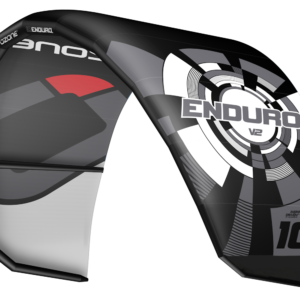 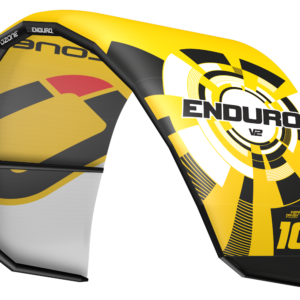 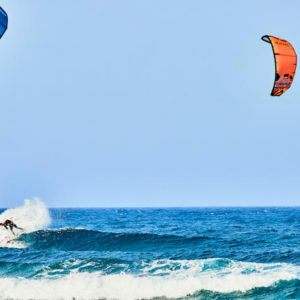 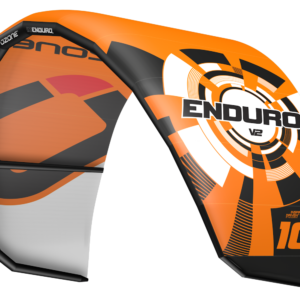 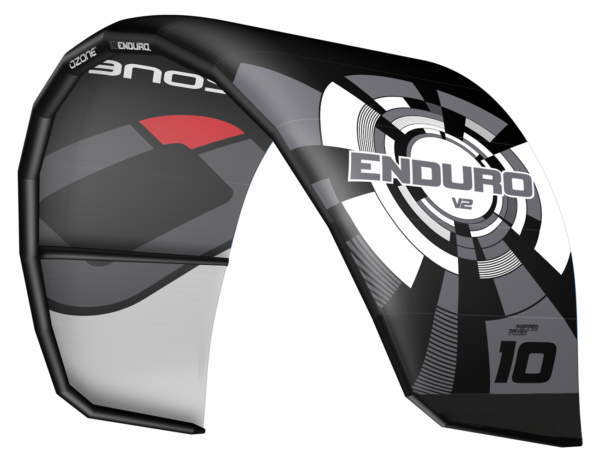 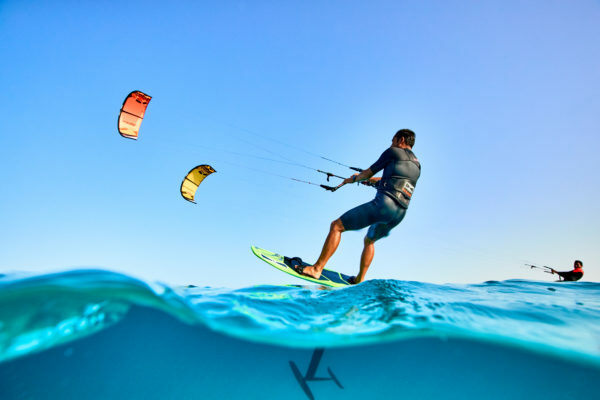 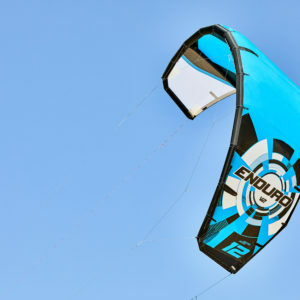 A true performance kite for intermediate to advanced riders whether it be freestyle, freeride or wave style, the Ozone EnduroV2 has got you covered. 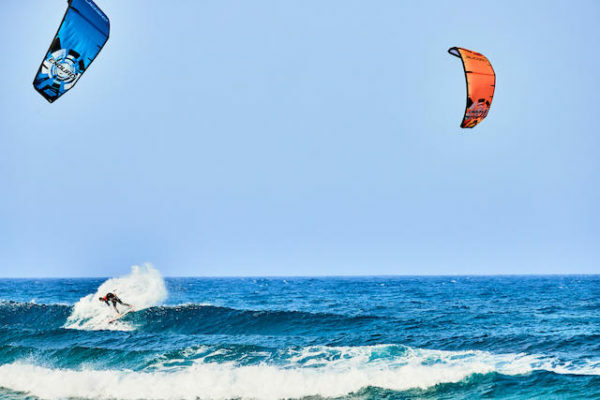 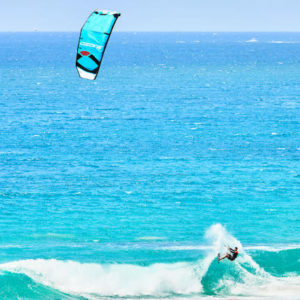 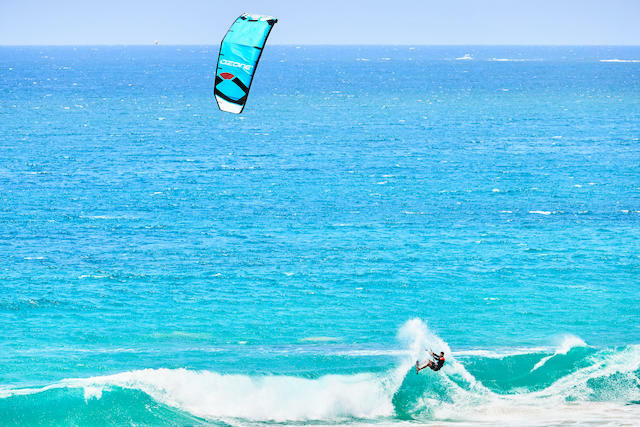 a wide range of disciplines – freeriding, freestyle and wave riding. 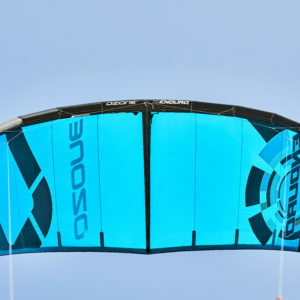 It incorporates an Open-C shape, semi swept Leading Edge and square wing-tip design, which results in a large de-power range, amazing progressive handling, boost for jumping and drift in the waves. 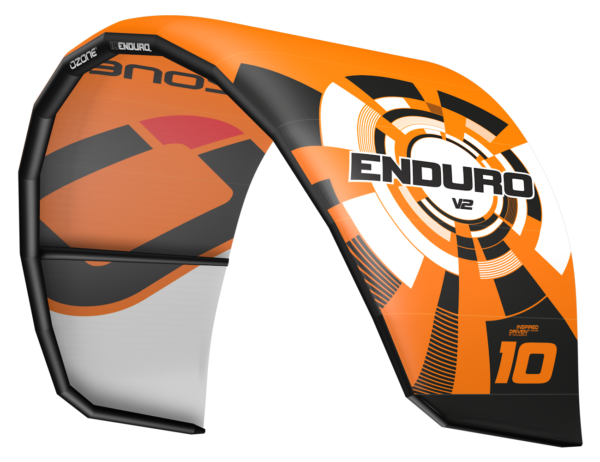 The Ozone Enduro V2 design features Ozone’s new strut construction that provides enhanced support to the canopy and improves stability at low angles of attack. 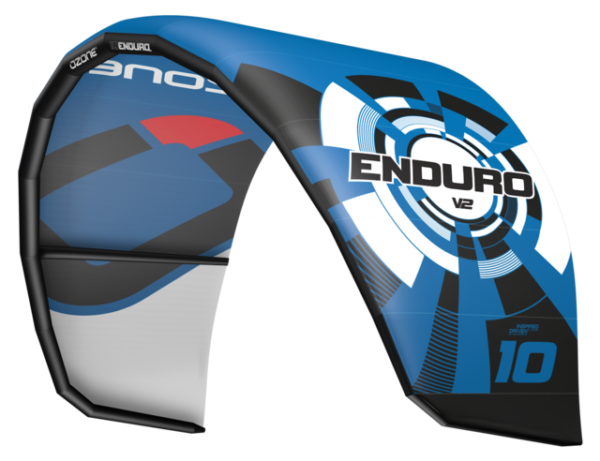 The Leading Edge is now tapered at the tip, which helps to reduce tip bounce. 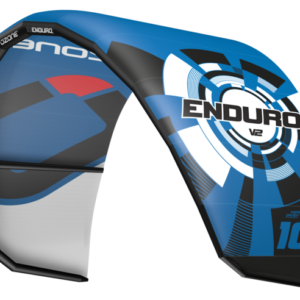 Together, the result is a much smoother ride and a more solid bar feeling in strongand gusty conditions. FREESTYLE: The Enduro makes freestyle progress fun and easy from your first unhooked moves, kite loops and right up to advanced unhooked riding. 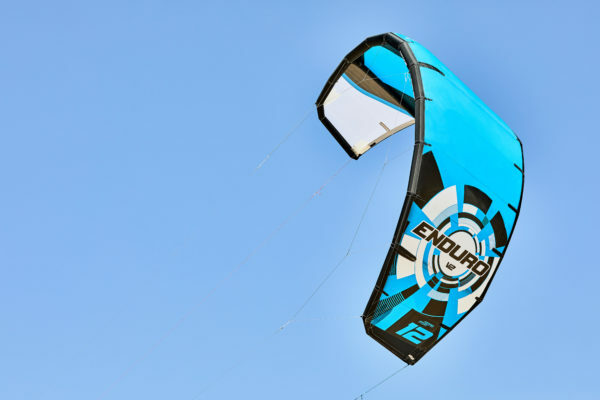 The Enduro delivers accessible pop and drop making learning technical moves and handle passes easier, without needing to be as aggressive in your riding compared with a C-kite such as the C4. 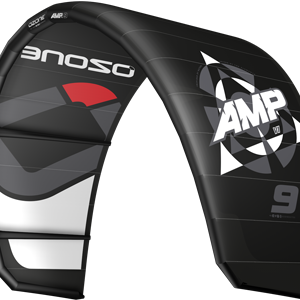 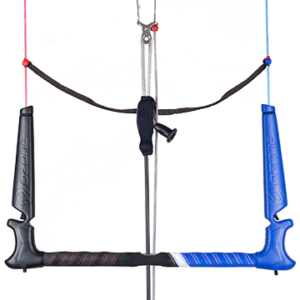 allows you to ultimately customize the feeling and performance of your kite.